The Planet Hollywood Towers formerly owned by Westgate has been officially dubbed Elara by Hilton Grand Vacations Club. Selling Timeshares, Inc. welcomes the 4th Las Vegas Hilton resort. This will give the Hilton name and quality assurance to an already outstanding resort. The Planet Hollywood Towers formerly owned by Westgate has been officially dubbed Elara by Hilton Grand Vacations Club, with the official title being 'Elara, a Hilton Grand Vacations Club.' Selling Timeshares, Inc., a licensed Real Estate brokerage and respected leader in Hilton timeshare resale, welcomes the property into Hilton's family of resorts. In late 2011, the property was sold to LV Tower 52 LLC. The company has hired Hilton Grand Vacations in an effort to rebrand the resort, and they will be providing hilton timeshare sales and marketing services in the future. More than 17,000 weeks are in the balance with this deal. The Elara resort is located in the middle of the Las Vegas Strip, and is now the fourth Hilton Grand Vacations Club in Las Vegas. The resort being welcomed into the Hilton resort family will provide about 48,000 HGVC members with a home resort in Las Vegas. The Elara is in close proximity to the Planet Hollywood Resort & Casino, and will offer easy access to over 170 shops and restaurants alongside what is known as the Miracle Mile. The brand new Hilton Timeshare towers 52 stories above the strip. Made of blue glass, this resort offers 1,200 ownership units, making it a truly massive resort. From the resort lobby you’ll have excellent views of a tropical pool with a sandy beach and private cabanas. The units offer beautiful views of the strip; full working kitchens, entertainment systems, and big, jetted tubs. Many of the units even include a 10-foot wide HD movie theater. Hilton will be working hard to ensure the quality that is synonymous with their brand is carried over into this resort. David Van Norman, a licensed agent at Selling Timeshares, Inc. was quoted saying, "We couldn't be happier with Hilton's move, this will give the Hilton name and quality assurance to an already outstanding resort." Some owners are seeing the name-change pop up in II already, so this should be a swift transition for HGVC. Selling Timeshares is comprised of a group of Licensed Real Estate Professionals with years of knowledge of the most valuable vacation networks offered in today’s market. 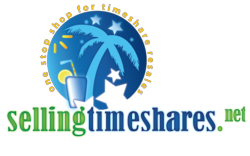 They are a full service timeshare resale brokerage that does not charge an upfront fee to sell.